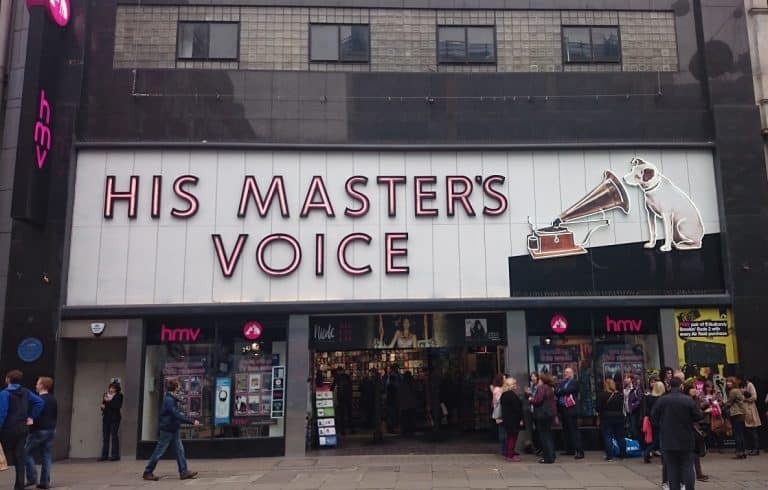 HMV’s Oxford Street store is among the 27 stores in line for closure after Canadian music entrepreneur Doug Putman confirmed he had bought the retailer this morning. The closure will end a 98-year residence on one of the world’s most famous high streets, and joins a number of culls elsewhere in London. An outlet in Westfields Shepherds Bush is due to be closed as well as stores in Wimbledon, Uxbridge and Watford. The Fopp in Covent Garden, as well as stores in Kingston and Bromley will remain open. The news comes hours after Putman, who runs Canadian retailer Sunrise Records, announced plans to save 100 stores in a move that will likely safeguard roughly 1,500 jobs. However, 455 jobs are expected to be slashed as a result of the 27 store closures. Putman’s move to buy the beleaguered music chain came despite reports that Sports Direct owner Mike Ashley was making a move for the high street giant.